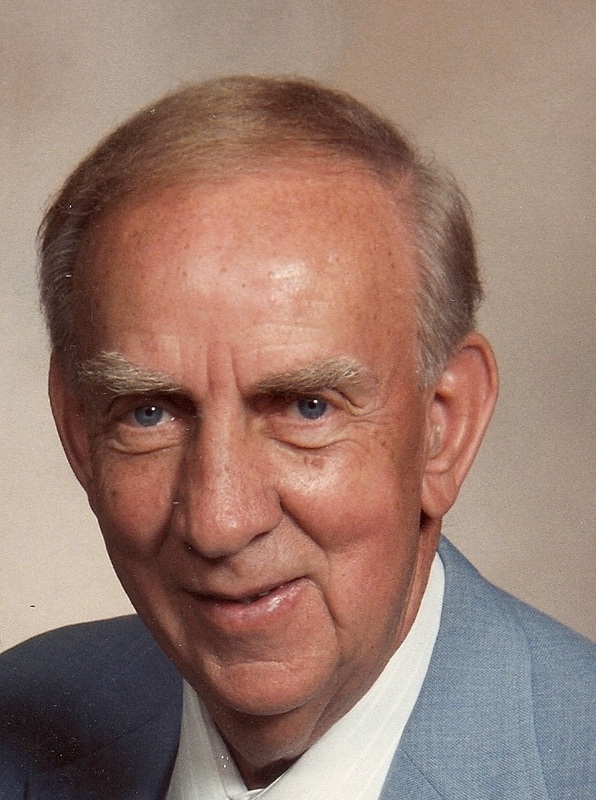 Carl Sandberg, former Mesa commercial real estate broker, passed peacefully at his residence at Visions Senior Care in Mesa, Arizona in the early hours of Friday, February 2, 2018 after a brief illness. He was 96. He was born on April 19, 1921 in Salt Lake City, Utah to Hyrum Carroll Sandberg and Mary Louise Folkersen and shared his father’s Swedish name Hyrum Carroll Sandberg, Jr. His father was known as Hy and he was always known as Carl and later formally changed Carroll to Carl. He was preceded in death by his beloved June (Hazel June Grant), wife of 73 years, his son H. Carl Sandberg, III, his sister Carole Bushman and brother Richard Sandberg. He is survived by daughter Connie Lee (Daniel), son Jaren G. Sandberg (Melinda), son Scott E. Sandberg (Faye), 23 grandchildren and 66 great-grandchildren. Carl ‘s father Hyrum worked for the U.S. Postal Service and was the director of the Salt Lake Post Office Band. His father’s talents resulted in music becoming a focus for Carl at a very young age. His love for music and dedication to practice resulted in his becoming a member of the musician’s union at the tender age of 13. 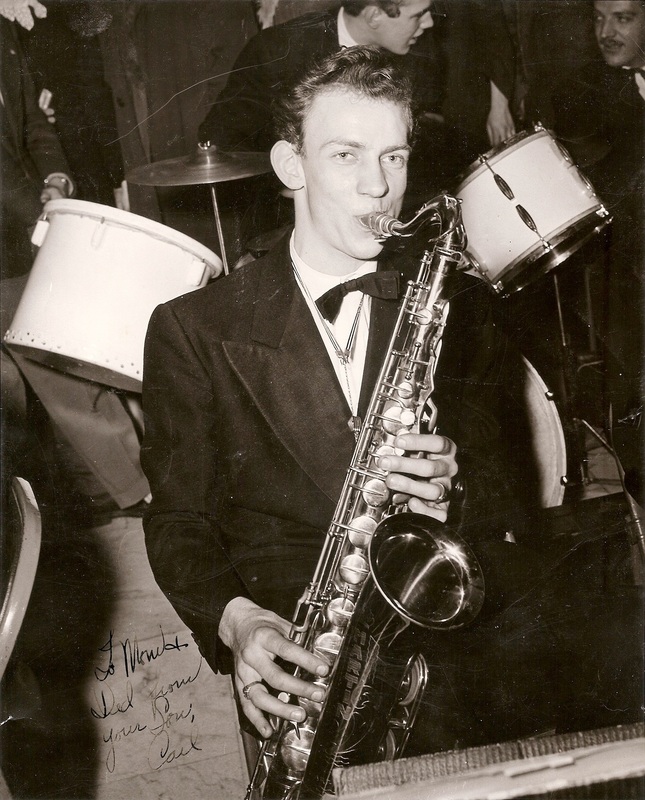 He worked playing his clarinet and saxophone at night while attending East High in Salt Lake City during the days. Carl and his saxophone were a part of history 1940 when he performed in one of the earliest live T.V. broadcasts from Rainbow Randevu in Salt Lake City. After graduation he was accepted at the University of Utah and was attending classes when Pearl Harbor was attacked. 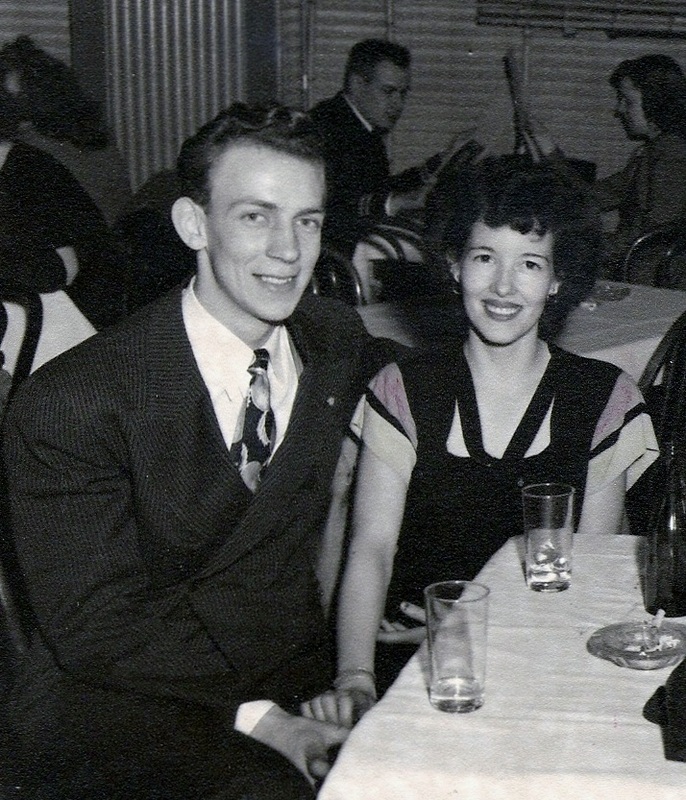 Not only did this end his college career it hastened his marriage plans with June Grant to whom he had recently become engaged. They were married in the Salt Lake Temple by her great uncle and president of the LDS Church, Heber J. Grant, on December 19, 1941 just 12 days after the attack on Pearl Harbor. He enlisted in the Army, went through basic training and because of his musical abilities was assigned stateside to entertain the troops. After the war ended, he decided to put his professional musical career aside to seek more regular hours and income for his family as a salesman with Remington Rand and eventually Friden Calculating Machine Company. This resulted in moves throughout the eastern and southern United States as the successful salesman was promoted and advanced to new areas of responsibility. In 1970 he kept a promise to his wife June and returned to Arizona and to family. 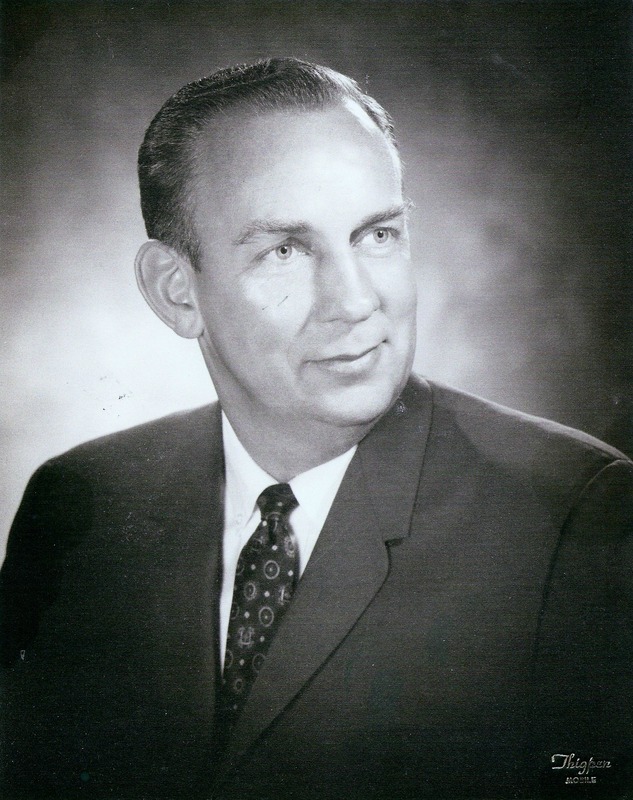 He was the first Director of Counties for the State of Arizona, working with the state legislature on the counties behalf. While there he met State Senator, Delos Ellsworth and in 1972 left the directorship to join Ellsworth’s Real Estate firm. Carl eventually became a broker in his own right and opened the doors of Carl Sandberg Realty focusing on commercial real estate ventures in Phoenix and Sedona. He and his wife June were called as workers in the Mesa, Arizona temple and served there from 1984 to 2006. This was a joyful service for both of them especially after living far from any LDS temple for 20 years. Their home in Mesa became the gathering place for their children and grandchildren on a weekly basis. It was their joy to host holiday and birthday celebrations for the growing family. Returning to his roots, Carl joined with some musician friends to form the Allstars band. They continued to perform in the Valley for many years in a large variety of venues. Big Band music was their forte with occasional Dixieland jaunts. They were members of the Mesa Country Club for many years, Carl was could be found there every Wednesday with a foursome of his friends. He continued to enjoy the sport into his 90’s. The semi-retired couple also owned a camper, a boat and Carl bought his own single engine airplane. 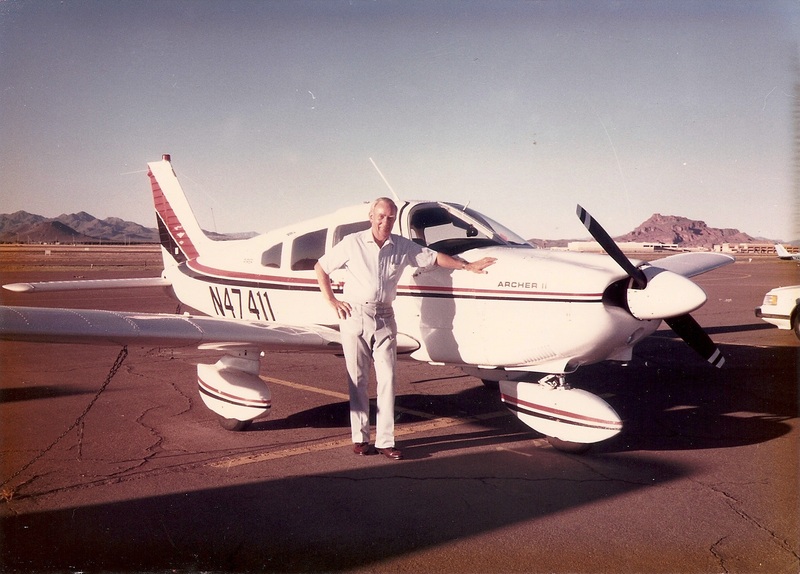 He had a life-long dream of piloting his own plane and obtained his pilot’s license and plane in 1980. They enjoyed many trips to the Mogollon Rim to escape the heat of the Valley. They eventually moved to a retirement community, Las Palmas on Power road, where Carl stayed for over a year after June’s passing in January of 2015. He then moved to independent living at Discovery Point until summer of 2017 and most recently to the excellent care at Visions Senior Care in Mesa. The memorial service is planned for 10 a.m. on Saturday, February 10, 2018 at the Freemont Hill Ward L.D.S. Chapel, 6942 East Brown Rd (just east of Power Rd.) Viewing will be at 9 a.m. Service at 10 a.m. followed by a Graveside Ceremony with military color guard at 12:00. Luncheon will be provided for family members afterwards at the chapel. As I read this obituary, I learned more about a man who was always a favorite in our ward. Kind, gentle, funny, happy, talented, and the father of one of our dearest friends, Connie, along with her brothers, one of which (Scott) was our neighbor for a while. You can tell what kind of a father and mother Carl and June were by the goodness of their children, and grandchildren. We were so blessed to have known all of them. We join with you to celebrate the life of a good man! God bless all of his children and grandchildren as they remember their wonderful patriarch. Much love from the Pickles Family!